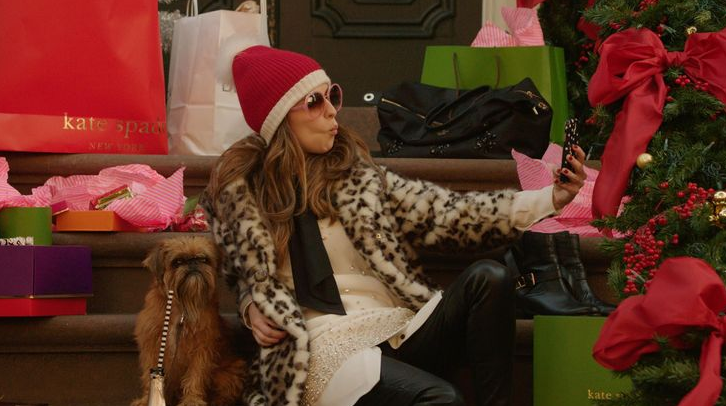 Have you seen Kate Spade's new Holiday video with Anna Kendrick yet? I always love what they come up with for the Christmas season, but this has to be my favorite yet. The location, the props, Anna... does it get any better? My favorite part has to be when she takes a selfie or when she pops the champagne and drinks it with a striped straw. Too, too cute. Is it just me, or does this video make you so so excited for the holiday season? Loved this video, it was the perfect thing to get me in the holiday mood. Great minds must think alike! ;) I'm obsessed with this video and all the new Kate Spade items! Oh my goodness, I hadn't seen this video yet - too cute! Thanks for sharing... I hadn't seen this yet but it was so cute!